Minnesota Vikings: Adrian Peterson Restructures Final Years of Contract | NFL News, as it happens, when it happens. Your one stop shop. After a tumultuous 2014 and off-season filled with controversy and trade demands, running back Adrian Peterson finally came to terms with the Minnesota Vikings on a restructured contract. The restructured deal is worth three years, $44 million. 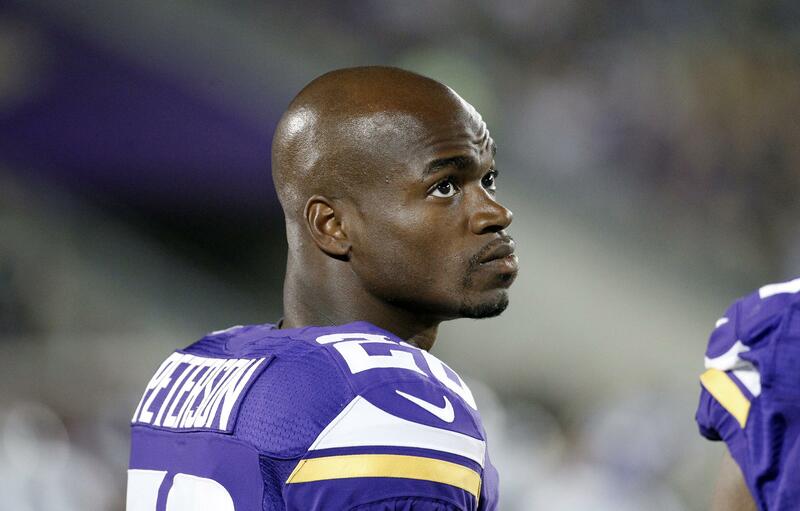 Peterson will earn $12.75 million in 2015, with a $2 million roster bonus. In 2016, Peterson earns $7.75 million, $7 million is guaranteed, and he will also receive a $5 million roster bonus. In 2017, Peterson earns $11.75 million and a $6 million roster bonus. You can read more about the contract details on Pro Football Talk. Keep in mind, Peterson was suspended the 2014 season after he pleaded guilty to child abuse chargers towards his four-year-old child. Peterson was reinstated on Apr. 16, 2015. With the amount of money Peterson is getting paid, there’s lots of questions that remain. Will Peterson still produce the elite production numbers of years past? Or has the one year suspension forced him into a decline?